TIRED OF LOSING ON BETFAIR? Join me and become a winner. Low risk Tennis Trading System. Hi, I'm Paul Shires. 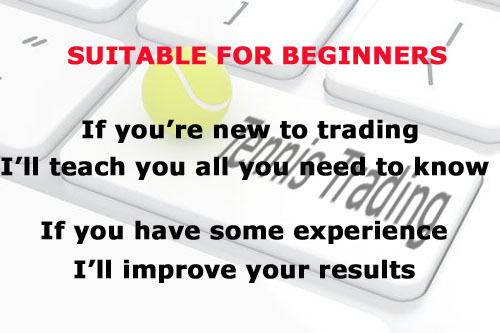 I found Betfair trading in 2008 and quickly found ways to make money on the tennis markets. I learned quickly despite having to use trial and error and in June 2010 I quit my job and began trading full-time. 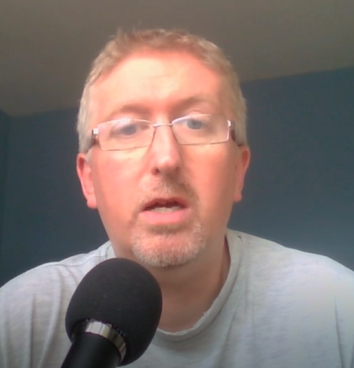 You will have the ability to contact me personally and keep me up to date with your progress, allowing me to dramatically speed up your learning process. This isn't a get rich quick system. It takes practice to become consistent at anything in life. I will be with you every step of the way and offer lifetime support with your one time payment. You also get lifetime updates of the Betfair Trading Guide. I also have a daily Trading Advice email service. I give you information, stats and advice on all the day's matches. You found my page because you are looking to make some extra money. If you keep doing what you're doing you will be in the same position in a year. I have a BUNDLE OFFER of the Trading Guide plus 2 months of my Trading Advice emails for £49 which is a saving of £30. You can select this offer below. Please note that after purchase you will be sent to a "Thankyou" page where you will be asked to register a username on my blog at www.blog.tradesharktennis.com. I can not give you access to the members area and the Trading Guide until you email me your username.